Have questions? Your Small World Vacations agent will email you a price quote along with their direct phone number. They always speak with you before you pay your deposit. 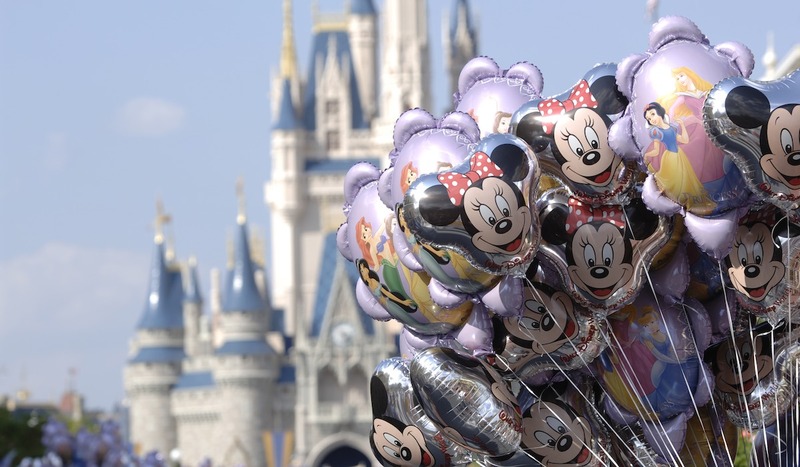 Your Authorized Disney Vacation Planner is here to help you throughout the process. We love what we do and it shows! 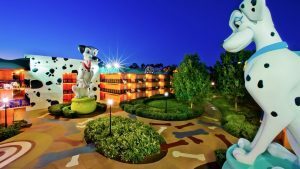 If you are interested in transferring a Walt Disney World Vacation valued at $1000 or more to Small World Vacations, please click here to contact us. Please note, your reservation must have been booked less than 28 days ago and cannot include airfare or be paid in full. 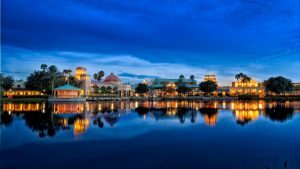 Simply fill in the form below, as best you can, and within 24 – 48 hours or less, you will receive an emailed price quote from one of our Authorized Disney Vacation Planners. Thank you for your patience while we search for discounts and availability for you. If you submit a request for a price quote on a Sunday, we will gladly review your travel preferences on Monday. 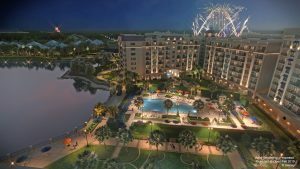 5 nights for Room Only Reservations at a Disney Value Resort (standard and preferred rooms). Address: If you include your address an agent can search for unadvertised pin offers! The best way for us to serve you, our guest, is by getting to know YOU! This is my first time staying at a Walt Disney World resort. 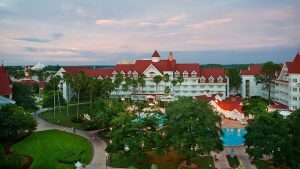 I have stayed at a Walt Disney World resort 1 - 3 times. 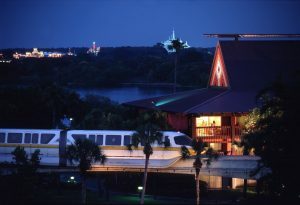 I have stayed at a Walt Disney World resort 4 times or more. I’m a previous guest of Small World Vacations? How did you find Small World Vacations? 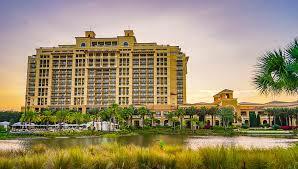 Your Disney Resort: Children under age 3 in a crib are not counted toward the occupancy total. 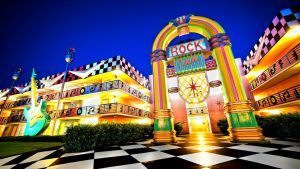 Be a little bit country, a whole lotta rock n’ roll and more at this whimsical Resort that pays tribute to the magic of music. Accommodations include Family Suites that fit up to Six Guests or Standard Rooms for up to Four Guests. Celebrate the active life at this fun-filled, sports-themed Resort where everybody’s a winner. Immerse yourself in the artistry and enchantment of Walt Disney and Disney Pixar classics in over 1,100 family suites that fit up to six guests with these themes: Finding Nemo, Cars or The Lion King. Standard rooms with a The Little Mermaid Theme can fit up to four guests. 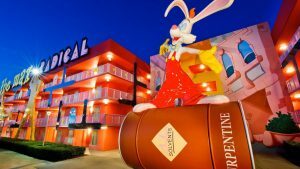 Experience a Resort that celebrates the fads, fashions, toys and dances of American pop culture that have captivated the world through the decades. 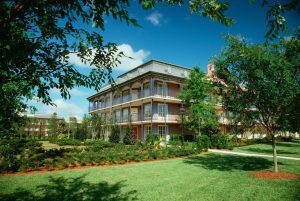 Discover the tranquility of this charming waterfront hotel that captures all the mystery and romance of a voyage along the Mississippi. 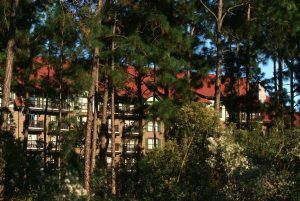 Stroll cobblestone walkways as you discover this New Orleans-inspired Resort hotel, set along a winding river road and picturesque waterways. Enjoy the ultimate in relaxation at this lovely lakeside Resort celebrating legendary Mexico and the American Southwest. 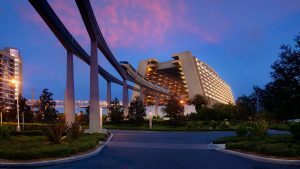 A gleaming monorail runs directly through this lakeside Resort that features a distinctive modern look and feel, and is set against the spectacular backdrop of the Magic Kingdom® Park. 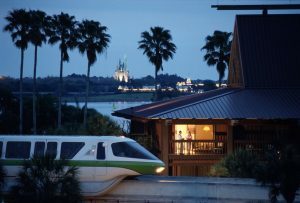 Celebrate the picture-perfect sights and tropical sounds of Polynesia and the South Pacific at this relaxing Resort paradise on the monorail. Nestled amidst towering pine trees, this lakeside “log-cabin” Resort hotel harkens back to the historic grandeur of the National Park lodges of the American Northwest. 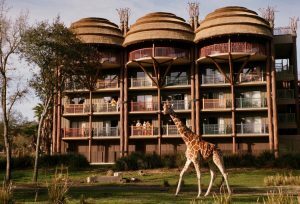 Exotic animals roam free over 33 acres of picturesque tropical grassland at this amazing African lodge-style Resort. Discover the casual grace of a grand New England yacht club at this lakeside Resort, featuring lush gardens and vibrant grounds. Discover an exquisite seaside-inspired hotel that evokes the casual beachside ambience of a late 19th-century holiday along the Eastern Seaboard. 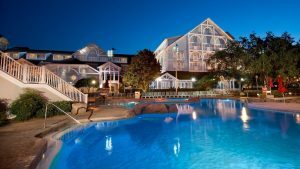 Make yourself at home on the shore of a sparkling lake at this elegant New England-inspired Resort hotel set against lush gardens and grassy dunes. 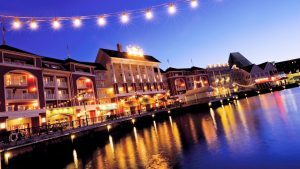 Explore a charming lakeside Resort set against a breezy boardwalk backdrop featuring shopping, dining and entertainment reminiscent of Atlantic City during the early 20th-century. Retreat to this quaint community where the ambiance of Key West permeates the pastel colors, gingerbread accents and Victorian themes. Rejuvenate your mind and body at this grand lakeside Resort community that brings the spirit of Saratoga, New York to an idyllic setting. Bask in the grandeur of America’s national parks at this cozy villa community where you feel the majesty of the Great Outdoors while enjoying the comforts of home. 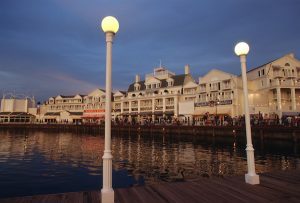 Hark back to a bygone era at this lakeside Resort hotel steeped in the colors, charm and romance of an old-fashioned boardwalk. It’s a villa community for the whole family. 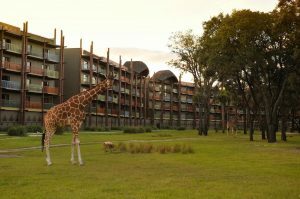 The spirit of the savanna comes to life in the spacious Vacation Homes of Disney’s Animal Kingdom Villas, a Disney Deluxe Villa Resort located at Disney’s Animal Kingdom Lodge. Immerse yourself in African culture as you make yourself at “home” near a vast animal reserve, making new discoveries around every bend. The tower blends modern architectural sensibilities with the visual cues of its neighbor linked by a Sky Way Bridge. The exterior mimics the original resort’s A-frame structure and the building’s shape also creates tremendous views. The pool has a unique water slide, wrapped in glass block. Spacious Vacation Homes offer sweeping views. Nestled within the island-themed, savor in the splendor of Polynesia, as you settle into a warm welcoming world that celebrates the passing of time in languid tranquility. Bungalows sit above the calm waters of Bay Lake. 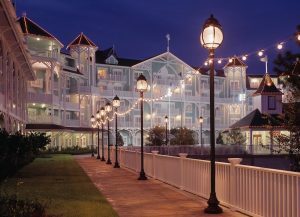 Revel in Victorian-style splendor at this elegant Disney Resort hotel, featuring luxurious deluxe studios and multi-bedroom villas that offer the comforts of home. 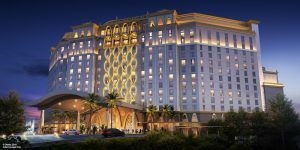 Projected to open in fall 2019, Disney’s Riviera Resort will celebrate the grandeur of Europe—which has long inspired some of the greatest Disney stories with its castles and fairy-tale villages. Here, you can create your own great Disney story in the middle of the magic. Relax with all the comforts of home in a peaceful wilderness setting. 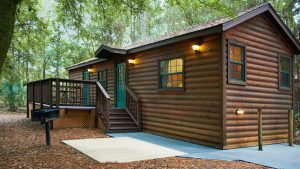 Each secluded Cabin features a queen-sized bed and set of bunk beds in the bedroom, plus a double size sleeper sofa in the living room. Enjoy amenities such as fully equipped kitchen, cable TV, DVD player, private patio complete with grill and picnic table and private parking. 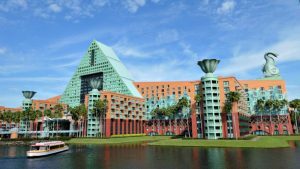 This sister of the Walt Disney World Dolphin Hotel employs the same modern design sensibilities with a nod to Renaissance elegance. 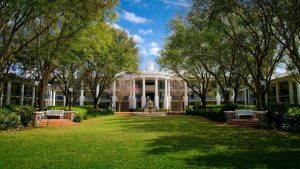 Clamshell fountains and graceful twin swans preside over swaying palm trees, verdant lawns and the gleaming shores of Crescent Lake, while a wave motif with a coral-and-aqua color scheme embodies Florida’s unique subtropical style. 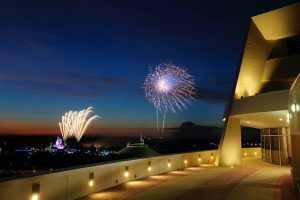 Small World Vacations' agents help you maximize the Magic! How many days of theme park passes do I want? Do you want to hop between theme parks in one day? The hopping feature allows you to fully enjoy the theme parks and Extra Magic hours. Yes, I want to hop between theme parks each day. No, I do not want to hop between theme parks each day. 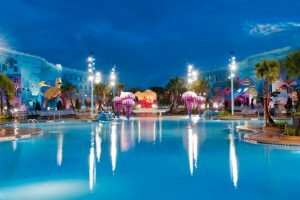 Do you want to add the Park Hopper Plus Option including a select number of visits to Disney Water Parks, ESPN Wide World of Sports and a Round of Golf at Oak Trail or Miniature Golf at Fantasia Gardens or Winter Summerland? Yes, I want to add the Park Hopper Plus Option. No, I do not want to add the Park Hopper Plus Option. Do you want to add Memory Maker Digital Photo Package? 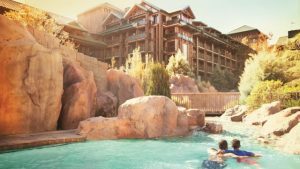 Do you want to add travel insurance to your Disney Resort Hotel Package? Yes, I would like to add travel protection to my Disney Vacation package reservation. Travel Insurance is recommended for pre-existing medical conditions. Insurance is not available for room only reservations. No, I do not want to add travel protection to my Disney Vacation package reservation. I understand that travel Insurance is recommended for pre-existing medical conditions. 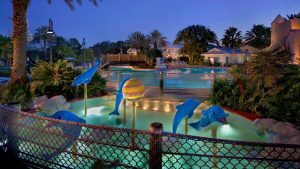 Are you interested in adding a pre/post stay at an on-site Universal Orlando Resort Hotel? 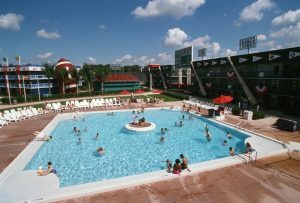 Yes, I would like to add a pre or post stay at an on-site Universal Orlando Resort. Please have my agent speak with me about this. No, I am not interested in a pre or post stay at Universal Orlando. Are you interested in adding a cruise before or after your Walt Disney World Vacation? Yes, I am interested in a Disney Cruise. Please have my agent speak with me about this. No, I am not interested in adding a pre or post cruise.